What better way to kick off the new year than by getting a jump start burning off those extra holiday calories in the great outdoors? Here’s your chance: go on a First Day Hike! State parks and recreation areas across the state are holding free guided hikes to welcome in 2018 in a fun way. Spend time reconnecting with family as you explore some of Nebraska’s most beautiful places, including Indian Cave State Park, Ash Hollow State Historical Park and Platte River State Park. 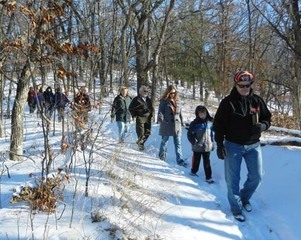 See a full list of hikes on our website.